Technology has been a huge influence on how people have marketed their goods and services ever since people have had goods and services to sell. Whether it was the printing press, the radio, television or the proliferation of trains and cars that made traveling easier, something new has always come along to change how marketing is done. But nothing has ever been as noteworthy as the internet. Because of the internet, consumers have a lot of information at the tip of their fingers that they never had before in the history of the world. Now they can look up information about you, and whether it’s right or wrong they’ll learn something about you and your products before buying. It’s up to you to make sure the right information is out there for them to find. Before the internet, stores had to host huge events that were quite costly in order to stir up conversation and social interaction. Today, they simply need to start an active Instagram account or Facebook group or page. Everyone uses some form of social media today to gather information and learn about your business and offerings. 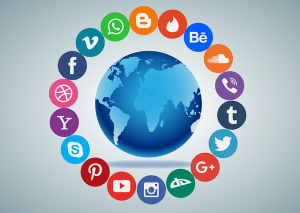 In fact, more than 80 percent of the US population uses social media. It’s important to put content everyplace your audience likes to be. If they like Facebook, you need to be on Facebook. If they like blog posts, you need to supply them with plenty of blog posts. If they like getting information through email, then you need to accommodate them. It can be difficult to keep up at times, but with help you can work smartly and efficiently by repurposing content as needed. Due to the advent of the net, pulling your audience to your information requires knowledge of search engine optimization. This can include on- and off-page optimization of a website and blog, but also of article titles, social media posts and more. It’s all about attracting the right audience to your information. Due to the ability to automate and personalize using technology that has been created since the advent of the internet, business owners can make their customers feel special and unique. Even though customers are smart and know a lot of it is automation, they do appreciate it and it shows in purchasing habits. Bringing your customers to you is now how inbound marketing works best, as opposed to outbound marketing which was how marketing started. It was posters, magazine ads, commercials – these things all interrupted the consumer to give them the message. Now it’s less intrusive and all about bringing them to you with the right information. It seems like e-commerce has been around forever. In reality it has been around in a smaller way since the 60s, but it really came into being as it is today in the 90s when the first book was sold on Amazon in 1995. Nothing has ever been the same since, and it just grows and grows. Online shopping is bringing back grocery delivery even. What you can look forward to is augmented reality. This will enable people to feel as if they’re in a store when they’re really online. Movies have depicted ideas of augmented reality, such as the Tom Cruise movie about virtual data called Minority Report in 2002. Now marketers are trying to figure out how they can work augmented reality into the everyday lives of consumers. It’s imperative that you keep up with how marketing is changing in terms of the tools that are used. In many ways, the principles don’t change much. You have to find a way to educate your audience, inform them, engage them, and build relationships with them, so that they trust you enough to spend their money on your products or services. A lot of people think that SEO is just a trick, or a bunch of shifty tricks to take to get people to come to your website. 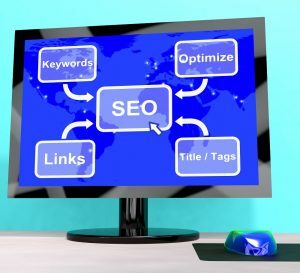 While it is true that some of the methods you read about seem somewhat unethical, the fact is that if you follow the rules of SEO without trying to mislead anyone, you’ll find that they are sound business practices that help you build brand awareness, get more traffic and make more sales in an honest and effective manner. Most people who are shopping online are clued in on the tricks of the trade now. They understand sales pages, and know what clickbait is and they don’t like most of them. You want to acknowledge that fact with everything you do. Respect their time and don’t trick your audience. Today websites need to work seamlessly on any device, so mobile optimization is very important. Your audience needs to be able to read, learn, interact, and purchase through their mobile devices without missing a beat. Working on the SEO structure of your websites and blogs will take time. It should not be considered an overnight success measure. Instead, it should be considered a long-term strategy that will work over time to affect traffic on your site. If you know your audience and understand the message that you want to send to them, you’ll be able to create amazing content that provides a lot of value to your audience. The information should be trustworthy, expertly written, without grammatically errors, and interesting to read. Keywords should be in the title tags, content, H1 tags, URLs, alt text on images, and within the image name. Keywords in content should be included in a natural way without any concern about “density”. This goes back to creating content for the different personas within your target audience. You have to put yourself in their shoes and know what they would find valuable and useful. Links tell search engines how authoritative your website is, what topic your website should be ranked for, how trustworthy your website is, and how valuable the content you create is. If people are linking to and sharing your content, engaging with the content, and visiting your website, you’ll earn links. In other words, skip the article directories, blog networks, comment spamming, and link trading. They don’t work. The reason you need to use social media is to build community and relationships so that you can distribute your content and information to people who desire it, need it, and want it. You can simply help people out and then reap the rewards. When you accept these new rules of SEO, you’ll be more successful with your SEO strategy – whether it’s on-page or off-page SEO. Remember that it’s a long-term process that will pay off many times over if you keep up to date on the new rules of SEO. It’s really not that mobile is winning; it’s that different-sized screens and different browsers have become the norm. Due to that change in technology and the ease at which the public can access it, it’s imperative that you design all your websites for mobile first. When you design for mobile first, you automatically create a situation where your site looks fabulous and works well across all devices. SEO isn’t just about your ability to get more eyes on your content, it’s also about the user’s experience. When a user loves the website they’re more likely to keep coming back, consuming the content, and answering your calls to action. Google gave directions to all webmasters to ensure that they build for mobile first, and that responsive design is best for this purpose. The fact is, most people still use Google for search, so due to that it’s best to get on the bandwagon as soon as possible. Many mobile devices have voice activated tools and due to that, voice search for mobile is now a common thing. The fact that this exists will help people find your website even more easily from mobile – provided that you have the right content within your website and all pages are responsive. Ensure that if you have a lot of videos on your website, you’re using a mobile friendly platform. You can make a mistake and have a mobile site other than the video. Test it out before publishing. Adobe Flash doesn’t work well on mobile. This is special code that tells search engines and web crawlers how to craw their website and blocks them from certain pages. This can cause loading problems for mobile devices. Keep in mind that each device is different. Use Google Analytics to discover which mobile device is most used by your current visitors and design for that device first, and then expand from there. If you use redirects, it’s important to ensure that they work right with mobile devices. Some don’t work well. Test all your redirects to ensure that they work and improve them so that the flow isn’t interrupted for the user. A special landing page is often made for promotions, sales and each product or service that you are marketing. Ensure that your landing pages are fully optimized for mobile. One way to do that is to use services like LeadPages.net or Instapage.com to create dynamic landing pages that work across all devices. Mobile SEO is one of the most important ways to ensure a user-friendly experience for your customers and leads. Don’t skimp on ensuring that you have covered all your bases when it comes to mobile SEO and designing mobile websites. Fully Optimizing your website is one of the most important factors to help drive more online traffic from search engines such as Google, Bing, and Yahoo. SEO helps the “bots” navigate each individual page on your website. There are many factors in developing a search engine friendly website. Making sure your informative content is in HTML text format. Link Structure is also important so the crawler have a clear pathway to navigate the site. The use of proper Keywords is vital to be found on search engines. Making sure you have the right keywords in your content with the appropriate keyword density can make or break your search results. The higher the score the better. For further instruction or help with your website or online marketing, Contact Us Today!